The World Cup 2018 kicked off yesterday and the excitement is tangible. With hosts Russia beating Saudi Arabia 5-0 in the first match, the tournament continues for the next month with the final taking place on 15 July. Football fans around the world will be watching the games with baited breath. Some employers may be concerned that these events can cause distractions in the workplace, or employees wanting to take time out of their day to watch the games. 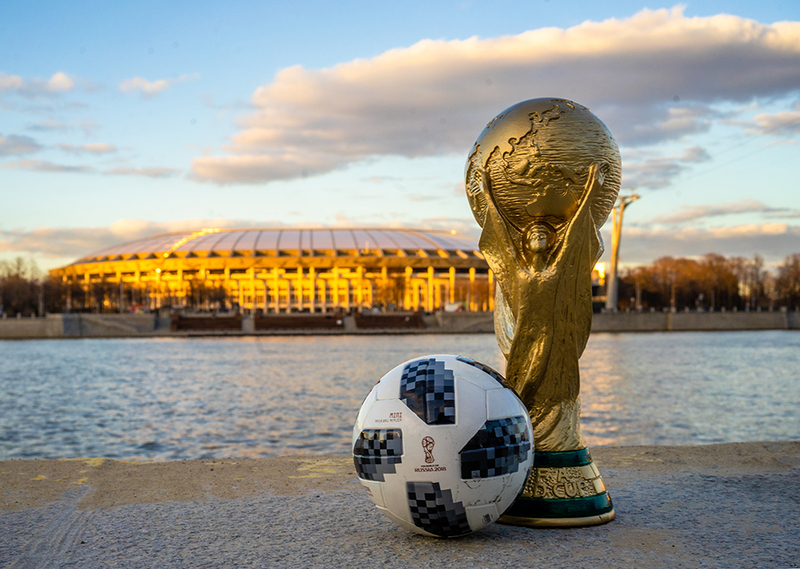 However, there is great potential for employers to encourage team spirit, increase employees’ job satisfaction and boost team morale by embracing the World Cup excitement in the office. With some matches kicking off on weekdays as early as 15:00, you could offer your employees who traditionally work nine to five some leeway to catch some of the football action. Discuss the hours that would ensure customer service is met and let your team members know their expected hours ahead of time. Allowing your team flexibility in their work schedule is one way of providing your team autonomy and trust, which will in turn improve productivity and job satisfaction. Some exercise and healthy competition can help a team spirit in a way that often can’t be achieved in an office setting. Organising a game of football during the tournament will help with team bonding both on and off the pitch. Allowing employees to watch the matches together can help to build relationships between departments that wouldn’t otherwise happen. Setting up the conference room or screening the tournament on the kitchen TV (even on mute) will help to make sure that employees who aren’t interested in the action or have pressing deadlines aren’t distracted. Allow employees to wear the jerseys of the teams they are supporting for casual Friday, decorate the office in a football theme and providing match day snacks from the countries competing on the day will build comradery and fanfare in the office. This boost of morale will have flow on effect to employees while they are working. Encouraging staff to enjoy the festivities of the World Cup or similar events can be a great reward for their hard work and dedication. As we reach the mid-year blues, these team activities are important to making employees feel valued. By focusing on your employees’ job happiness, you will grow a successful team that are more motivated and productive at work.